Are you a backpacker who likes to travel off-trail? Then a detailed topo map and a compass are must-haves for you to navigate in the wilderness. 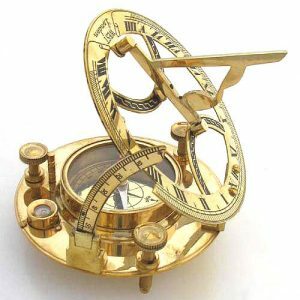 Check out the amazing collection of basic and advanced compasses online at Antikcart. These tools are still the best choice as they do not rely on batteries or satellite signals to function. Here @ Antikcart, we offer a wide variety of items such as a vintage compass online for you to create an interesting nautical vibe in your home. Another way to do so is to buy telescopes online and put them in different places at home. You can buy vintage decor online in India from our website. Choose from wide range of decorative figurines, bowls & baskets, retro telephones, gramophones and other curios online at affordable price.